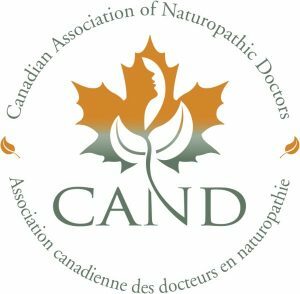 What are Naturopathic Doctors trained to do? Perform complete physical exams and take complete medical histories: We suggest that all clients obtain a complete physical exam once a year (including prostate, breast and/or gynecological) by your medical doctor or your naturopathic doctor. Depending on your current symptoms and medical history, your naturopathic doctor may recommend additional assessments, (e.g. orthopedic, stress or nutritional assessments). Diagnose naturopathic and conventional medical conditions: Naturopathic diagnosis is based on identifying imbalances in body systems. This helps naturopaths treat the cause of the disease, not just the symptoms, as well as catch disturbances in the early stages, before they become full blown conditions. Prescribe and carry out naturopathic treatment plans: Your individual treatment plan can include any combination of naturopathic treatments including: acupuncture, traditional Chinese medicine, herbal medicine, homeopathic medicine, clinical nutrition, counselling, lifestyle counseling, massage, hydrotherapy, physical therapy and spinal manipulation. Monitor your progress: You will be reassessed in a follow up visit at the end of your treatment plan in order to monitor your progress. Work collaboratively with other health care professionals: Naturopathic doctors often refer to and work with medical doctors, massage therapists, chiropractors and psychologists to provide high-quality integrative healthcare. What is the Naturopathic philosophy of care?